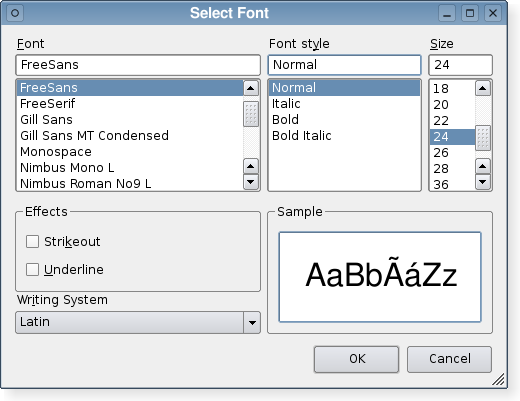 See also QFont, QFontInfo, QFontMetrics, QColorDialog, QFileDialog, QPrintDialog, and Standard Dialogs Example. The dialog is constructed with the given parent. caption is shown as the window title of the dialog and initial is the initially selected font. If the ok parameter is not-null, the value it refers to is set to true if the user clicks OK, and set to false if the user clicks Cancel. Call getFont(ok, def, parent) instead. The name parameter is ignored.